We’ve been testing a new, free iPhone news app called Vu that presents content based on what you have previously read/viewed within the app via an easy to use, fast interface. The app recently gained article saving and improved article sharing features, and we think it is worth taking a look at. 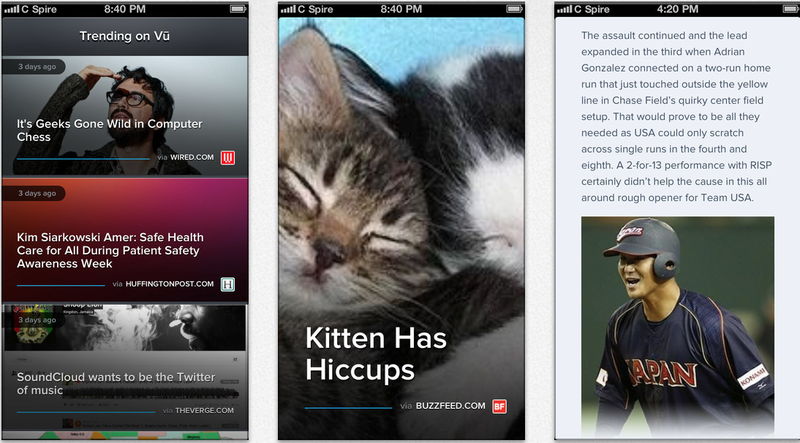 Like other news apps, you can sync content between your iPhone, iPad, and your computer. You can access content you have saved for later via a web browser on non-iPhone devices.